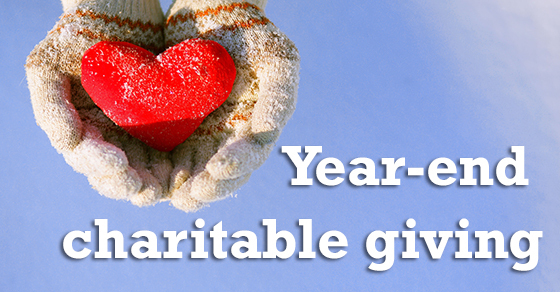 To be deductible on your 2017 return, a charitable donation must be made by December 31, 2017. According to the IRS, a donation generally is “made” at the time of its “unconditional delivery.” But what does this mean? Is it the date you, for example, write a check or make an online gift via your credit card? Or is it the date the charity actually receives the funds — or perhaps the date of the charity’s acknowledgment of your gift? Credit card – The date you make the charge. Pay-by-phone account – The date the financial institution pays the amount. Stock certificate – The date you mail the properly endorsed stock certificate to the charity.